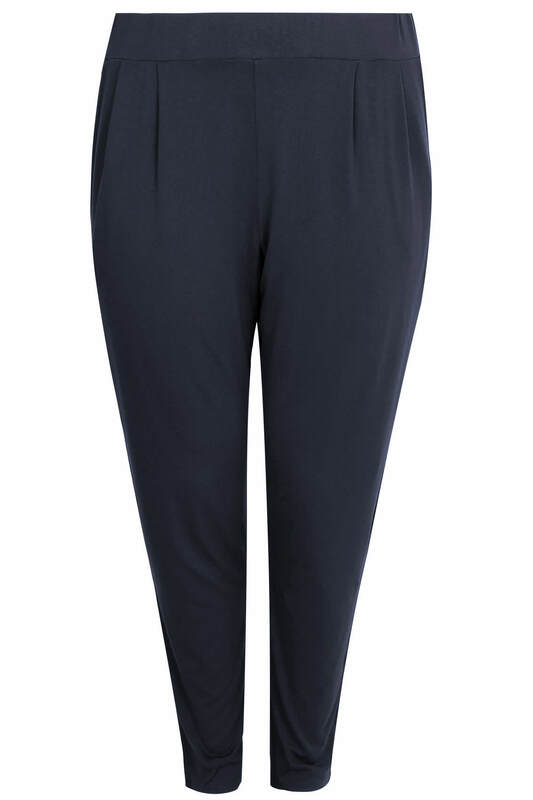 Plus size navy harem trousers with double pleat detail to either side of the garment. 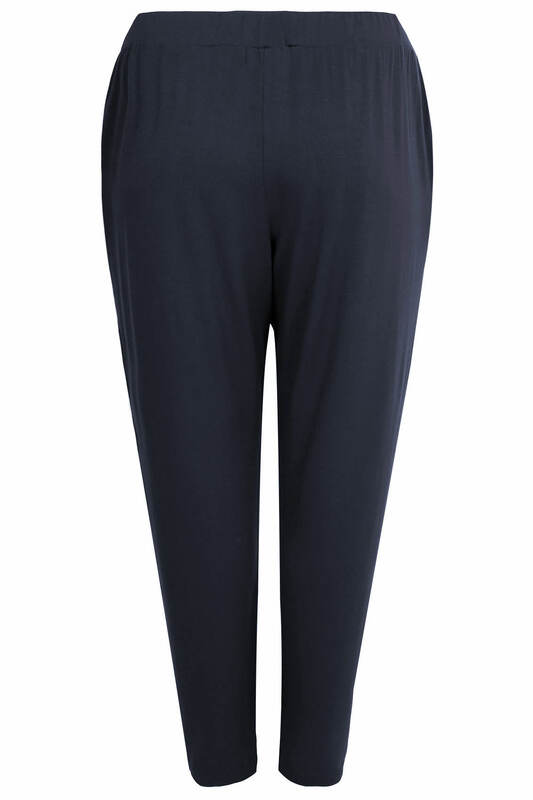 Featuring side pockets and an elasticated waist band for an easy and comfortable fit. Style with a cami top and pumps for a cute daytime look.